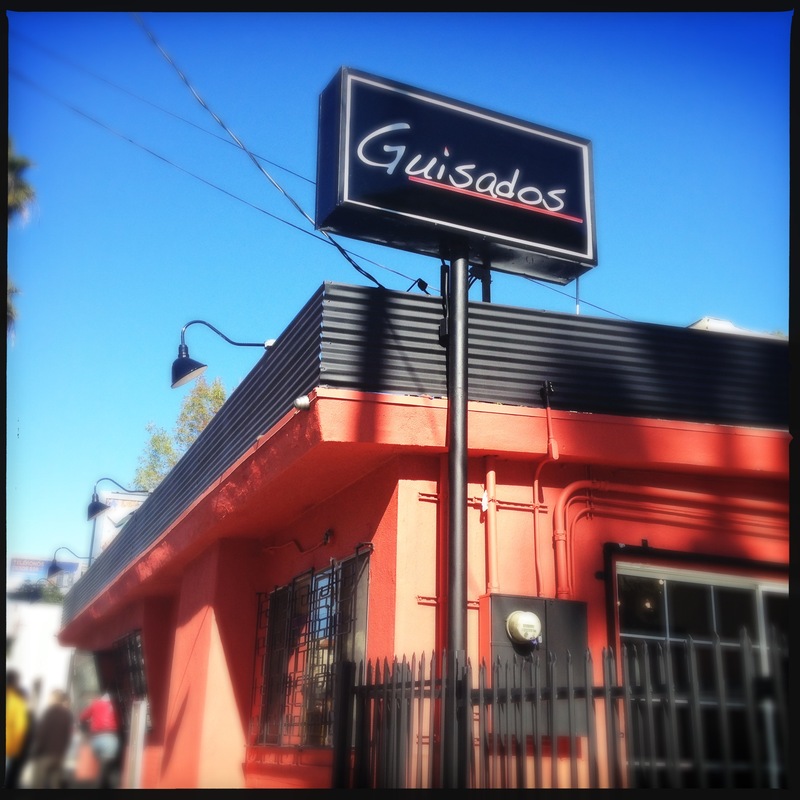 it was almost a year ago that i discovered the wonder of guisados just a couple miles away in boyle heights. 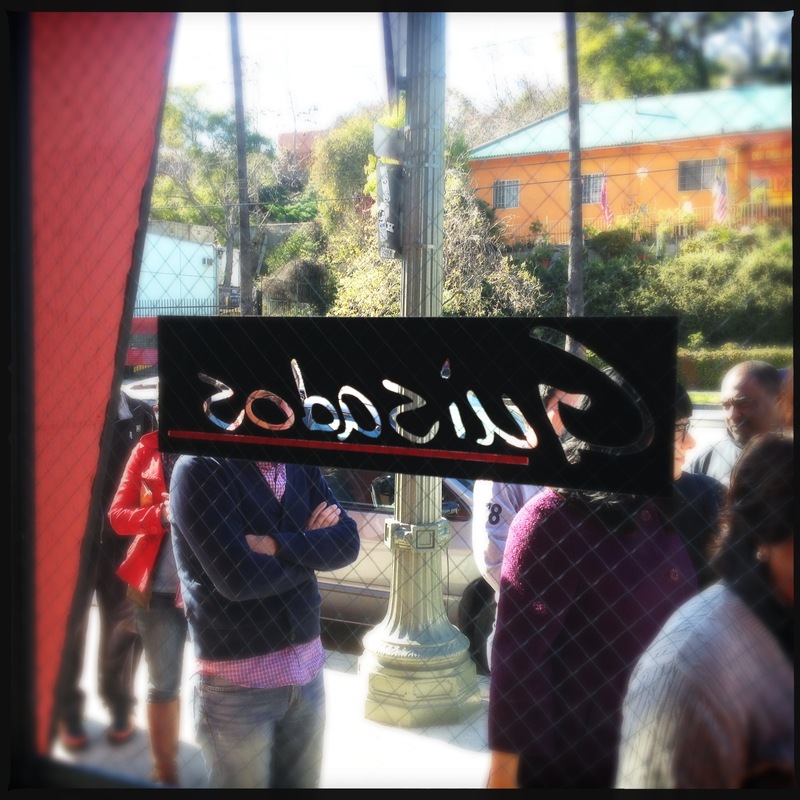 they have some of the best tacos i have ever had, so when i heard that they were going to expand to echo park, and eventually downtown, i was ecstatic. 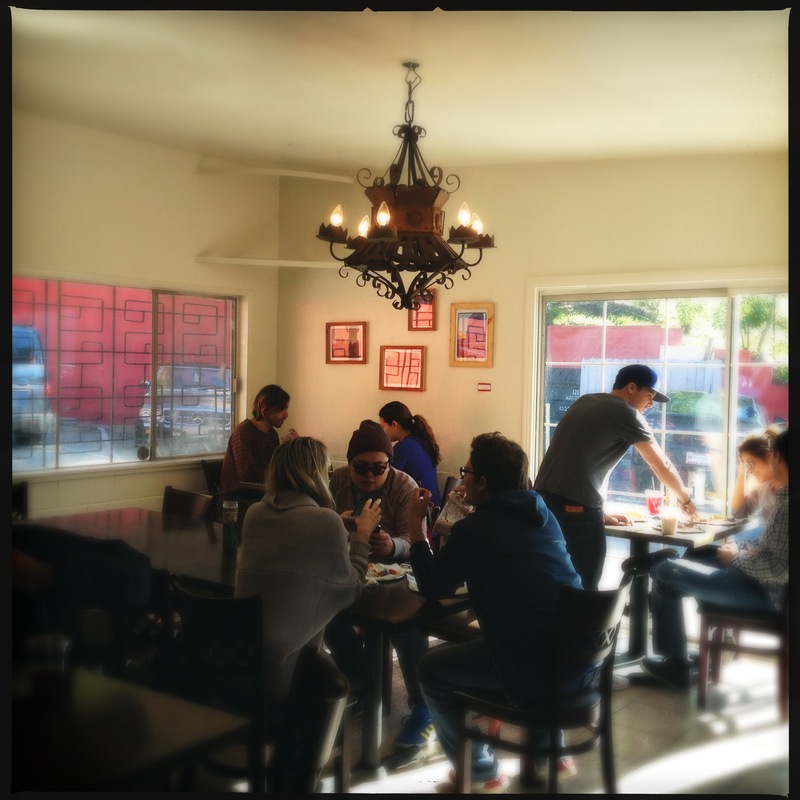 the echo park location is just down the street from dodger stadium, and opened just after the new year. i actually can’t believe it took me this long to go check it out. to no surprise there was a line out the door. granted it was lunchtime on a friday, but it moved fairly quickly. 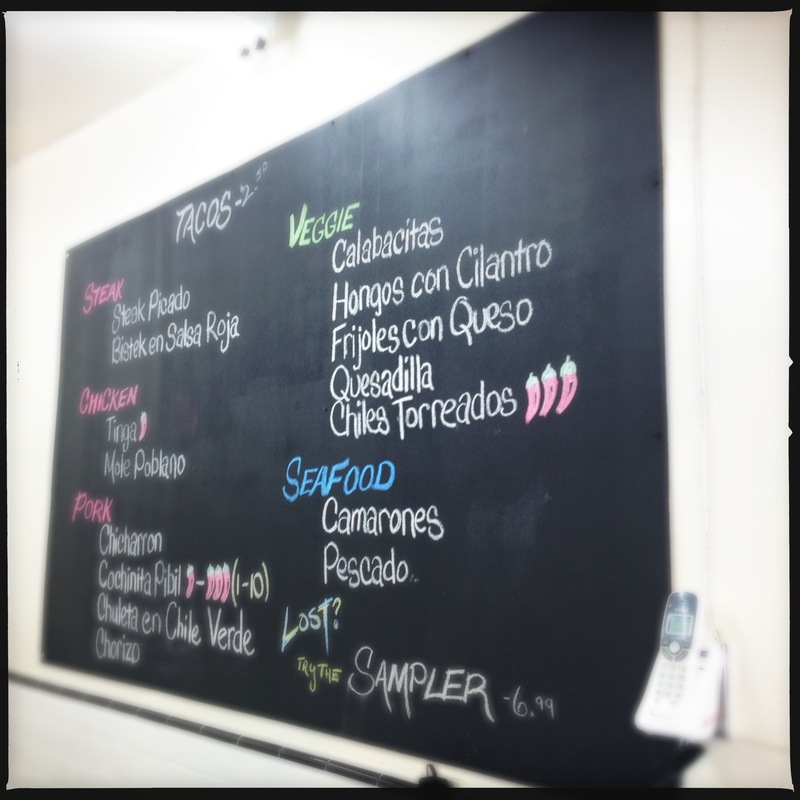 just like their boyle heights location, the tortillas are handmade right in front of you, from masa made next door to the other location, and the menu is on a chalkboard on the wall. it seems to consist only of tacos at this time, but perhaps they will expand to tamales and ceviche like the other location in the future. a nice young man wearing a dodgers hat, who seemed to be running the place, answered some questions i had about the menu, and also delivered our food. 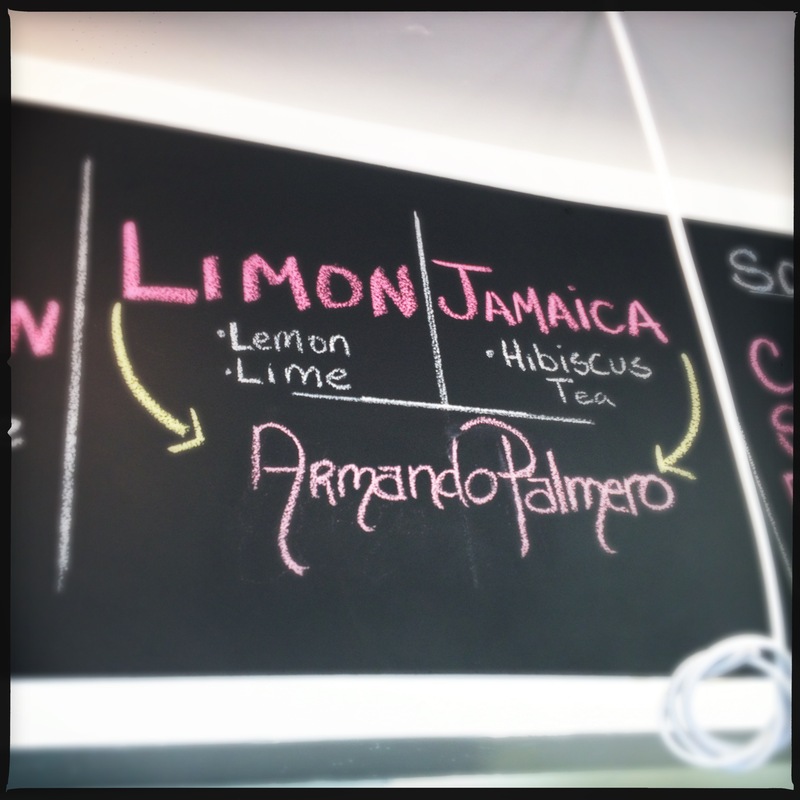 i ordered their version of an arnold palmer, called an armando palmero, named after the owner, which is a lemon-lime-hibiscus tea mix. 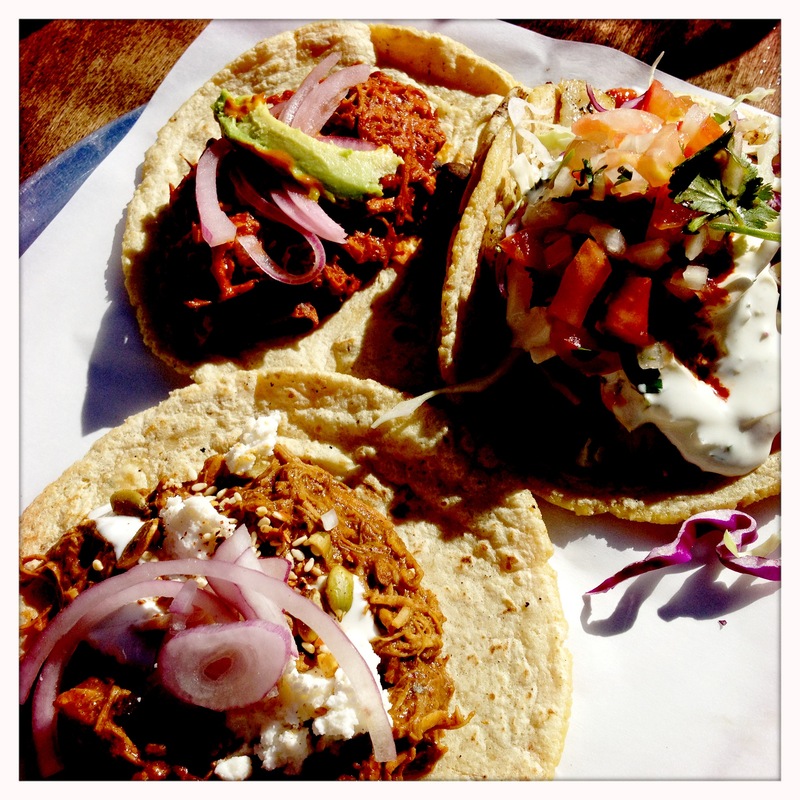 for tacos i ordered a mole poblano, a pescado, and a cochinita pibil. 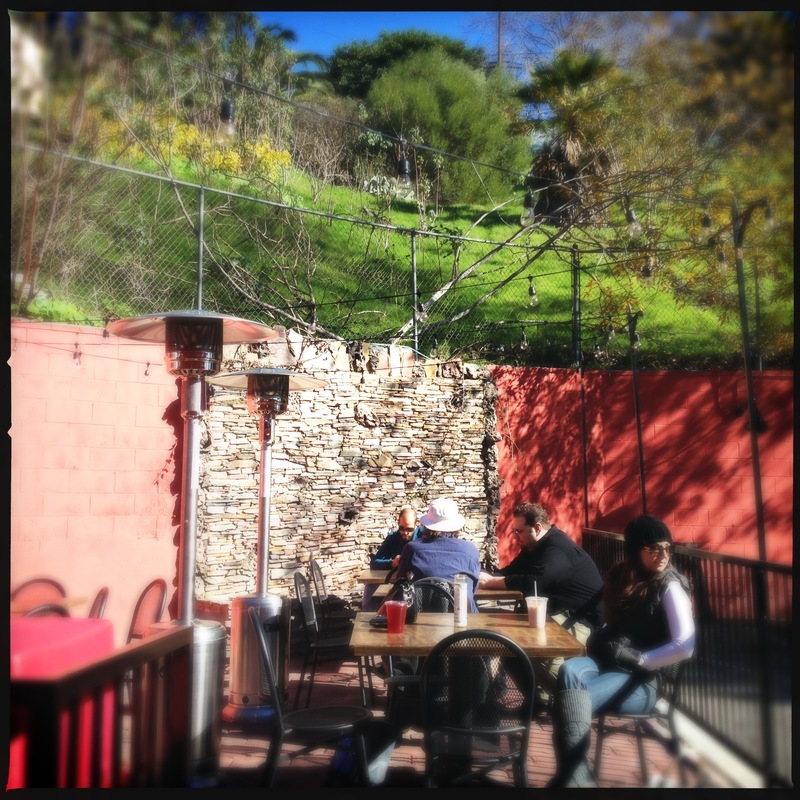 …but, even though it was a brisk socal day in los angeles, we chose to sit outside on the lovely patio, which has a stone fountain, veladoras on the tables, and a nice view of downtown. 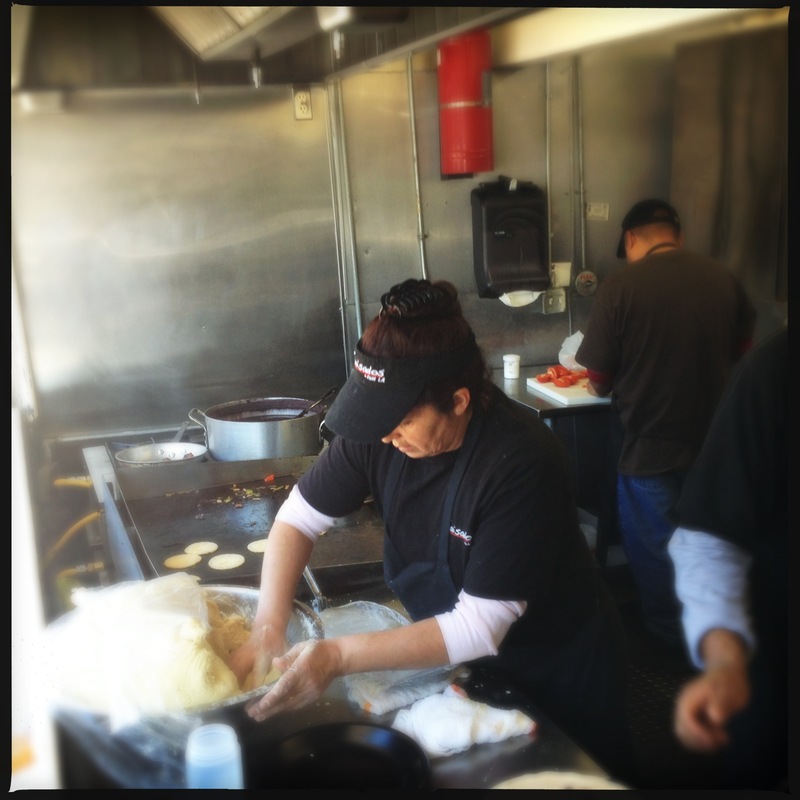 as we were finishing up, a pickup truck pulled into the parking lot, and none other than armando himself jumped out with a large bag of masa in hand. we congratulated him on a job well done. he explained that his son had called needing more masa, so he rushed it over, and confirmed that the dodger hat wearing young man was indeed his son. this echo park location was opened for him to run. i asked about the future downtown location, which he said is at least six months out, and apparently will be his daughter’s venture into the family business. each of the current locations are only a few miles from where i live, but i am very much looking forward the downtown location opening up only a few blocks away. i see a lot of tacos in my future.